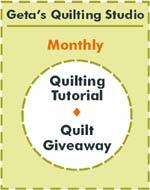 I made the quilt in the middle for my friend, Renee, from scraps from her stash. 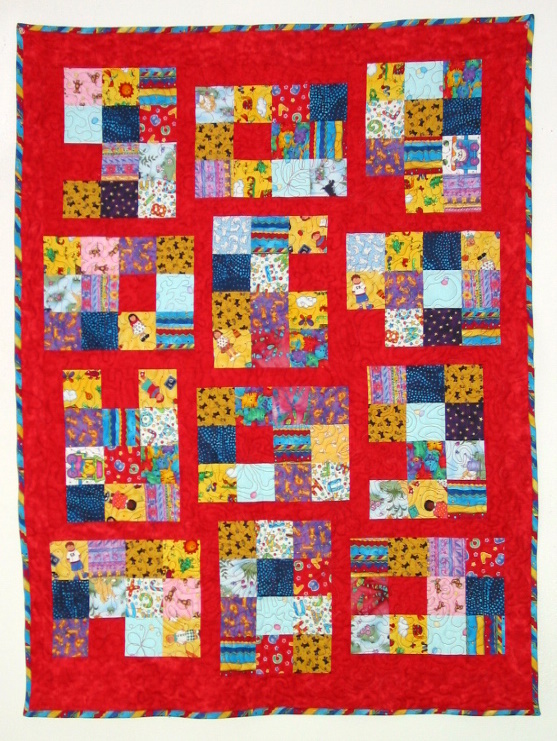 Our friend, Mary k, quilted it. 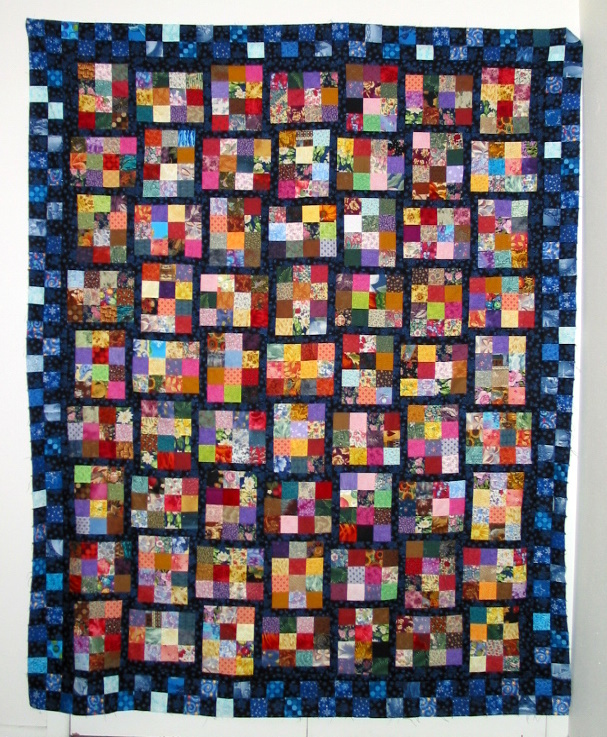 I call it “Renee’s Quilty Memories”. Renee and her family call it “Scraps”. 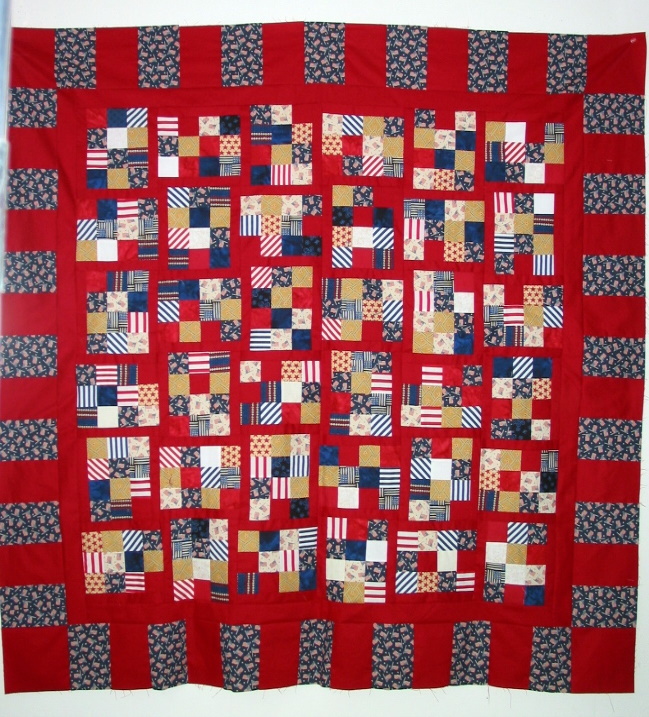 I made the RWB quilt for PFC Patrick E. Coggins, Jr and Mary k quilted it. Patrick is the son of a friend. 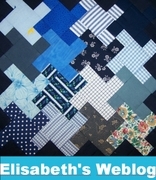 The baby quilt was donated to Florida tornado victims.